We thank you for your interest in this new magazine who, we hope for it, will know how to give you satisfaction and will can inform you on your personal projects. Each two months, we shall try to inform you about the evolutions of the world real estate market, to help you to be made a personal relevant opinion. This Fourth bimonthly publishing presents you our conditions of publication, but also our strategy on its implementation and its publication. Indeed, our broadcasting is made only on the internet. The magazine is downloadable for free on our site as well as on several social networks. Our mail campaign to promote this magazine border 5000 monthly sending's, targets are varied, embassies, professionals of the real estate, investors groups, consumer. We soon plan a first paper publication in a luxury version who, we hope for it, will become annual. 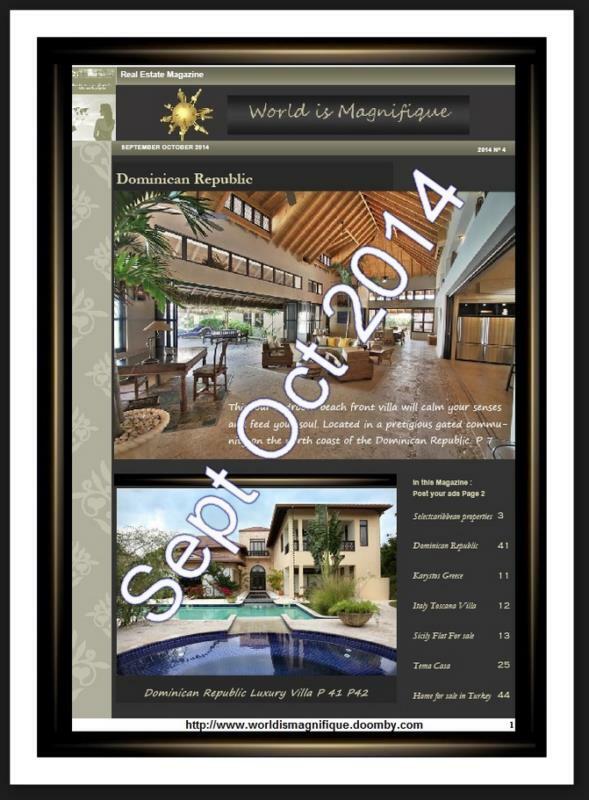 This month, you will also find special Dominican Republic page, but also some beautiful properties from our announcers in different country.